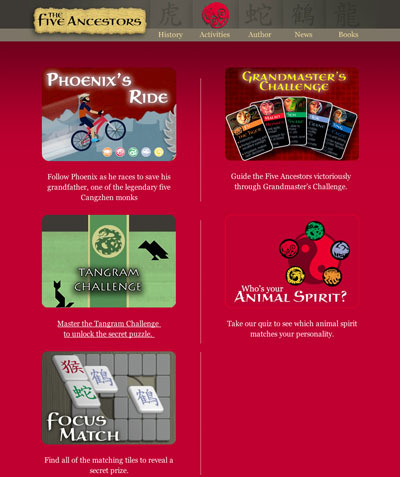 Click the image below to go to Penguin Random House's Five Ancestors GAMES page. It's awesome. The games can be found on the "Activities" page. Jeff's favorite is the "Animal Spirit" quiz. Be sure to check out the other pages, too!